Coola Boola was custom built with renters in mind.It consists of 5 bedrooms….3 masters, one on the first level, a bedroom with 2 twin beds and a super large kids room. The house has upscale furnishings and a fully equipped kitchen. 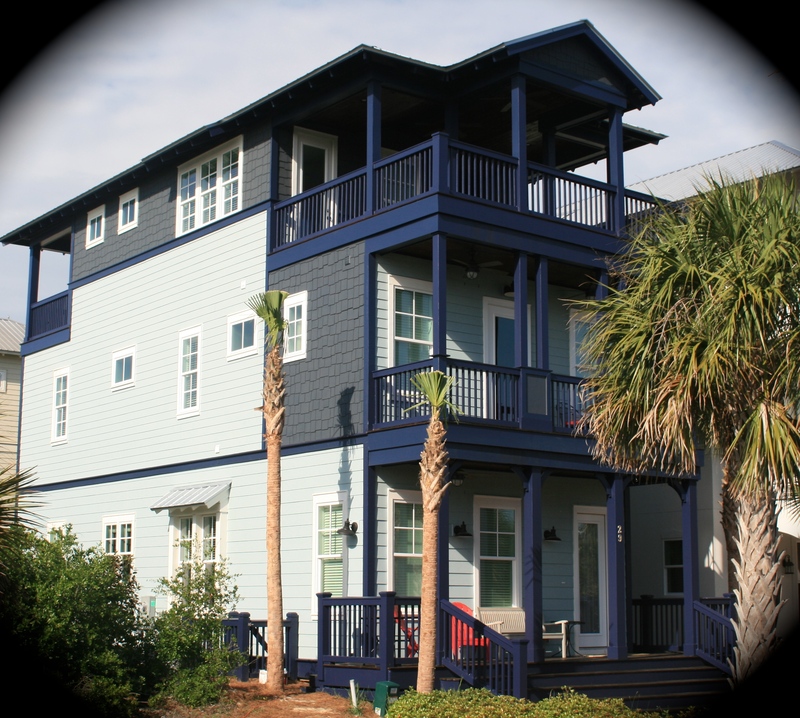 There are 4 decks, the top one having an outdoor kitchen and gas barbecue, not to mention gulf views! We offer a huge selection of bikes at no additional charge. There are also beach chairs and towels for your convenience. Located at the front of Seacrest, we are steps from the pool and only a 3 minute walk to the beach. So close we never use the tram!